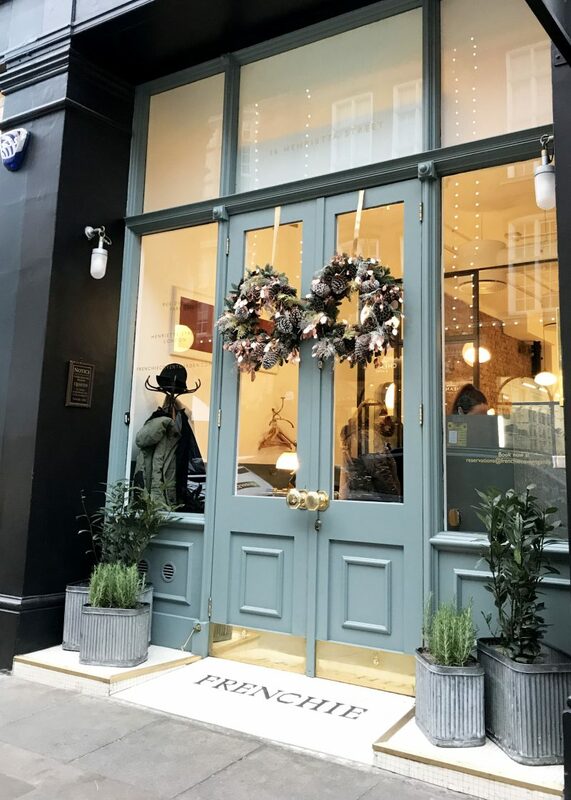 Frenchie has two gorgeous duck egg front doors, with furniture and style that reflects today’s latest interior trends; yes there is exposed bricks and a marble bar. 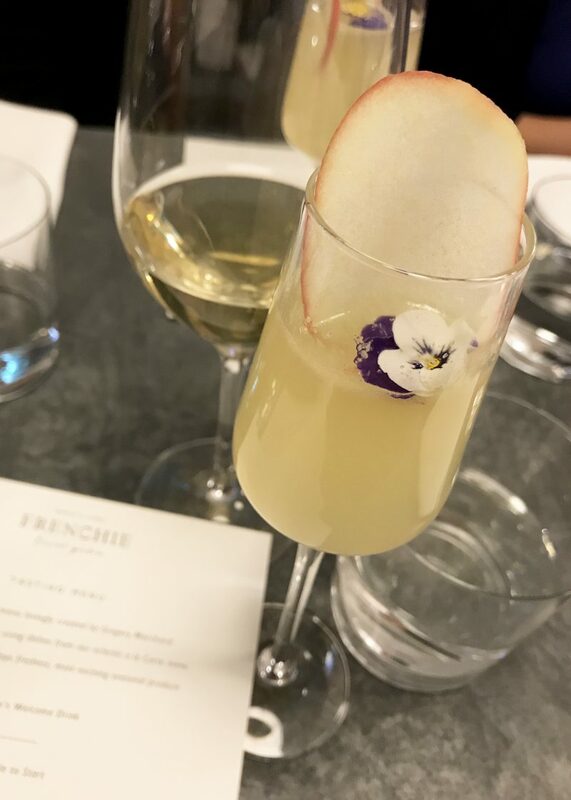 The name “Frenchie” was given to chef Gregory Marchand by Jamie Oliver when they worked together at Fifteen. This restaurant in Covent Garden follows Marchand’s other Parisian ventures including a restaurant and wine bar under the same name (you can tell I did my research for this one right?). I was lucky enough to visit this beautiful restaurant a while ago and try out the 5-course tasting menu – at £55 I actually think it’s reasonably priced for a special occasion, plus with courses that are small you don’t leave feeling overly full but just very happy and with a lovely taste in your mouth! 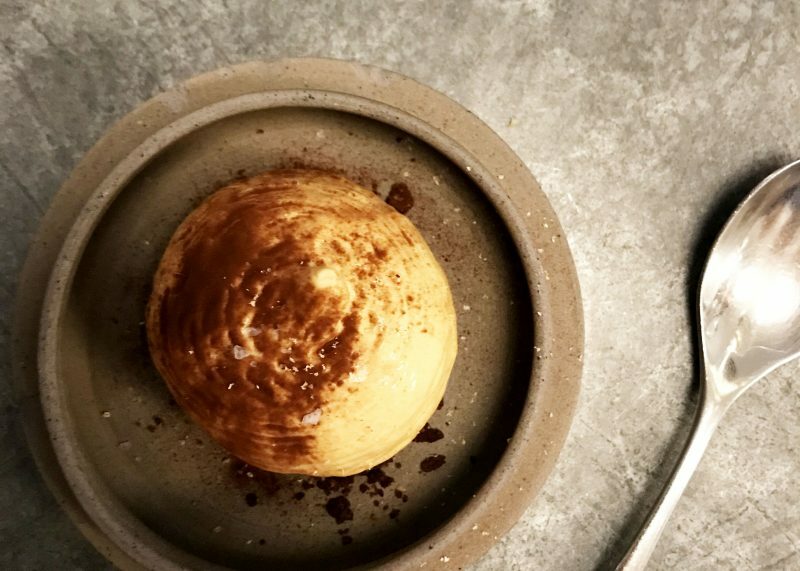 Seems a little vague to read up front (it’s like when they say fancy stuff on Masterchef but you’ve no idea which bit is which), but here’s some photos and a round up of the best flavours! The nibble this week was honestly, quite possibly one of the most delicious things I’ve ever had. At the top there you can see small piles of grated parmesan, which were covering chargrilled sprouts – not for everyone but as a solid sprout / cheese lover these went down a treat. 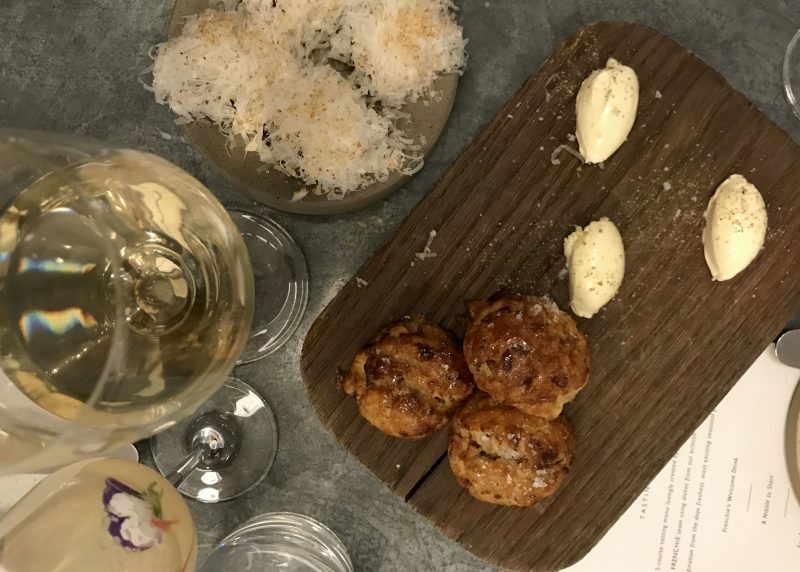 The best was yet to come, those little scones you see there, were maple bacon flavour – warm, with butter, were an incredible mouthful of sweet and savoury goodness that really didn’t last long enough. 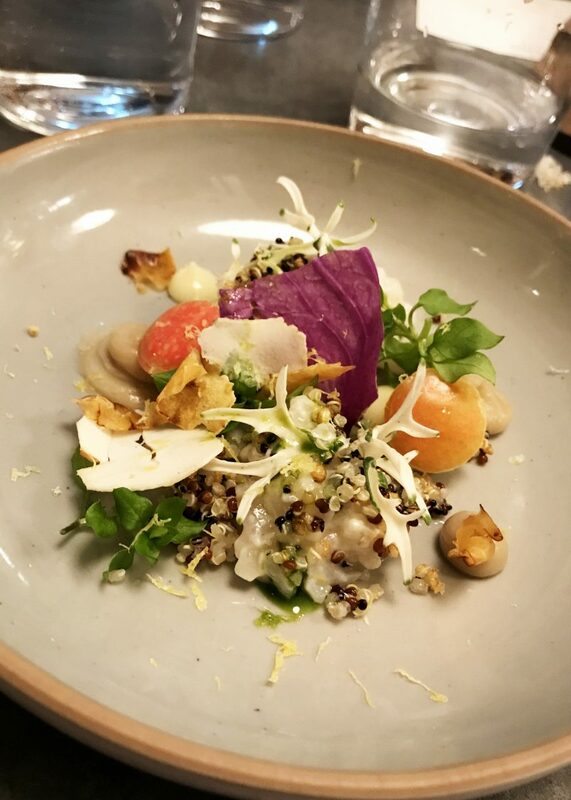 A beautiful little seafood salad with quinoa and leaves. Very light and fresh, total palette cleanser as the experts would say. After I had this dish I thought it was the best so far. 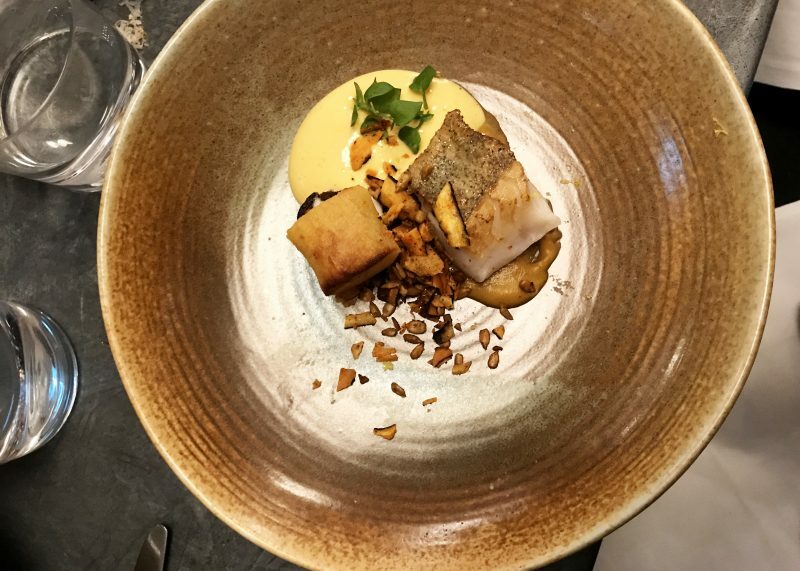 The fish was cooked to perfection, and the spiced sauce brought the autumnal flavours together – it even looks Autumny don’t you think?! This by far was my favourite dish. 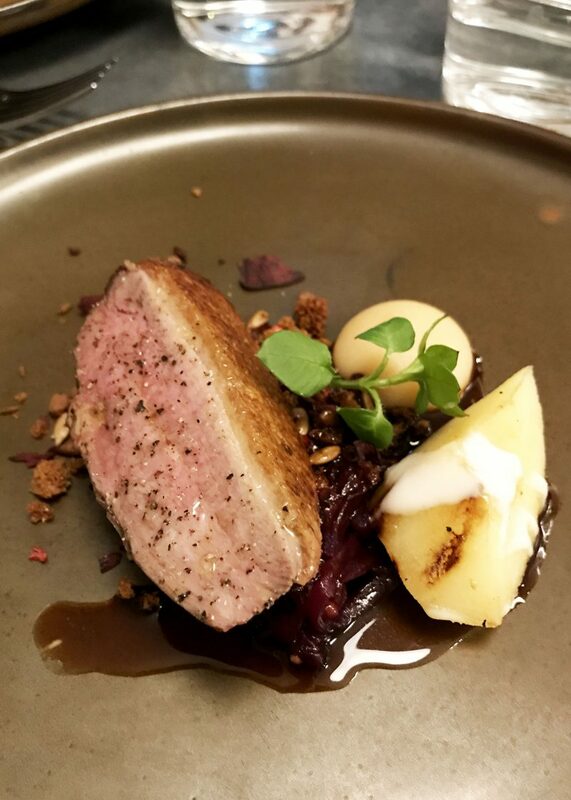 I’ve never sliced such a tender duck breast before, the fruity quince complemented it perfectly and the little kicks of ginger bread were small but suited the dish perfectly. At this point in the meal I was a very happy person. 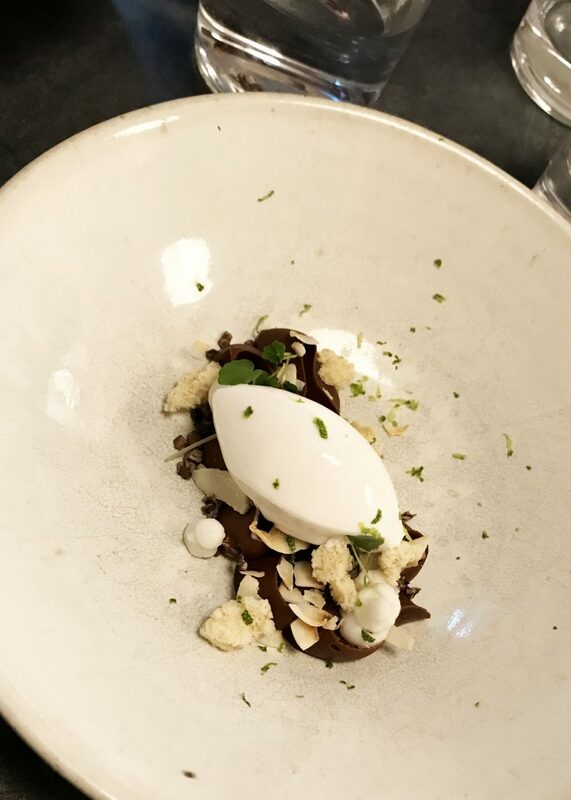 In a fancy, Eton Mess style desert, the rich chocolate ganache was toned down by a lime sorbet and plenty of textures scattered around. A lovely in-between desert ha (who even knew this was a thing). The final course was a gorgeous version of a banoffee pie. In a soft and velvety little pie, it maintained the traditional flavours of banoffee but delivered but a little French sass. Despite being a savoury girl, these deserts were not to be missed. Might all seem fairly fancy, but if you’re looking for a five course taste explosion for a special occasion, then this is the spot for you. There’s other menus too, including a pre-theatre deal and seasonal variations to their flavours throughout the year. Check out the website here and let me know if you ever visit! Previous Post 10 things to do in Westward Ho!